We each have then a right and responsibility to understand, appreciate and conserve in a sustainable way the tangible and intangible universal values of cultural heritage left to the City of Florence from the Grand Dukes of Tuscany our predecessors. According to the UNESCO World Tangible Heritage Convention, since 1982 the Medici’s Grand Ducal Heritage has been included into the World Heritage List as part of the property “City Centre of Florence” and now it belongs to all the people. Including before the end of year 2020 among operational Guidelines of the 1972 World Heritage Convention, all the 6 principles established by the INTERNATIONAL CULTURAL TOURISM CHARTER-Managing Tourism at Places of Heritage Significance- adopted by ICOMOS at the 12th General Assembly in Mexico, October 1999, as mandatory regulation for the management of tourism inside the World Heritage properties. We want in fact to avoid the persistence after 2020 of the present existing immense economic and social problems that are now effecting the City of Florence because of the present gigantic lack of sustainability due to a very poor tourist management. Heritage is a broad concept and includes the natural as well as the cultural environment. It encompasses landscapes, historic places, sites and built environments, as well as biodiversity, collections, past and continuing cultural practices, knowledge and living experiences. It records and expresses the long processes of historic development, forming the essence of diverse national, regional, indigenous and local identities and isan integral part of modern life. It is a dynamic reference point and positive instrument for growth and change. The particular heritage and collective memory of the City Centre of Florence and of the Grand Ducal House of the Medici of Tuscany is irreplaceable and an important foundation for development, both now and into the future. At a time of increasing globalization, the protection, conservation, interpretation, presentation of the heritage and cultural diversity of the City Centre of Florence and of the Grand Ducal House of the Medici of Tuscany is an important challenge for people everywhere. 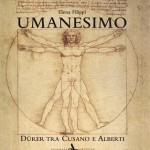 However, the management in the above mentioned sustainable ways of the heritage both of the City Centre of Florence and of the Grand Ducal House of the Medici of Tuscany within the framework of internationally recognized convention and appropriately applied standards, is the responsibility of the appointed “UNESCO Site Manager” and of all the future signatories to this charter. Reasonable and well managed physical, intellectual and/or emotive access both to intangible and the heritage and cultural development is both a right and a privilege. It brings with it a duty of respect for the heritage values both of the City Centre of Florence and of the Grand Ducal House of the Medici of Tuscany, for the interests and equity of the present-day community of Florentine residents, for the interests of the present Grand Ducal House of the Medici, of the owners of the historic properties and for all the cultures from which the heritage “City Centre of Florence“ evolved. The Dynamic Interaction between Tourism and Cultural Heritage and domestic and international tourism continues to be among the foremost vehicles for cultural exchange, providing a personal experience, not only of that which has survived from the past, but of the contemporary life and society of others. It is increasingly appreciated as a positive force for natural and cultural conservation. Tourism can capture the economic characteristics of the heritage and harness these for conservation by generating funding, educating the community and influencing policy. It is an essential part of many national and regional economies and can be an important factor in development, when managed successfully. Tourism itself ad particularly in Florence has become an increasingly complex phenomenon, with political, economic, social, cultural, educational, bio-physical, ecological and aesthetic dimensions. The achievement of a beneficial inter-action between the potentially conflicting expectations and aspirations both of visitors of Florence and of the local community of the Native Florentine residents , presents many challenges and opportunities. The tangible and intangible cultural heritage created over the past centuries by the Grand Ducal House of the Medici, diversities and living cultures are major tourism attractions into the City Centre of Florence. Excessive and/or poorly-managed tourism and tourism related development are currently threatening their physical nature, integrity and significant characteristics. The urban settings, culture and lifestyles of host community of the native Florentine residents have been degraded consistently by the intensive and uncontrolled massive tourism during the last 30 years, along with the visitor’s experience of the place. Tourism should bring benefits both to the host communities of the native Florentine residents and to the Grand Ducal House of the Medici of Tuscany, also it should provide an important means and motivation for them to care for and maintain their heritage and cultural practices. The involvement and co-operation of local Florentine community representatives, Medici Civic Order, Grand Ducal House of the Medici, conservationists, tourism operators, property owners, policy makers, those preparing national development plans and the Unesco W.H.C site managers are necessary to achieve a sustainable tourism industry and enhance the protection of tangible and intangible heritage resources of the City Centre of Florence for future generations. We expect that ICOMOS, the International Council on Monuments and Sites which is official sustainable tourism charter has been utilized almost in full as the written basis this specific “Florence Charter”, will underwrite this Florence Charter and support the challenge. We expect and strongly demand that also the World heritage Centre of UNESCO would sign this “Florence Charter” and support as well the challenge. • To facilitate and encourage those involved with heritage conservation and management to make accessible the cultural significance and the historical authenticity for the host community of the Native Florentine residents and for the visitors of the City Centre of Florence. • To facilitate and encourage the tourism industry to promote and manage tourism in ways that respect and enhance the heritage and living culture both of host community of the Native Florentine residents and of the Grand Ducal House of the Medici . • To facilitate and encourage a dialogue between conservation interests and the tourism industry about the importance and fragile nature of 1) the heritage of the Grand Ducal House of the Medici of Tuscany, 2) the heritage of the City Centre of Florence; 3) the heritage of the cultural, social and traditional activities of the community of the Native Florentine residents, including the need to achieve a sustainable future for them. • The Charter supports wider initiatives by ICOMOS, by the Medici Civic Order, by other international bodies and the tourism industry in maintaining the integrity of heritage management and conservation of 1) the City Centre of Florence, 2) the living traditions both of host community of the native Florentine residents and of the Grand Ducal House of the Medici. • The Charter encourages the involvement of all those with relevant or at times conflicting interests, responsibilities and obligations to join in achieving its objectives. • The Charter encourages the formulation of detailed guidelines by interested parties, facilitating the implementation of the Principles to their specific circumstances or the requirements of particular organizations and of committees of native Florentine residents. Since domestic and international tourism in Florence is among the foremost vehicles for cultural exchange, conservation should provide responsible and well managed opportunities for the native Florentine residents and for visitors to experience and understand both the Florentine and the Medici’s Grand Ducal tangible and intangible heritage and culture at first hand. The Medici’s and the Florentine cultural heritage are a material and spiritual resource, providing a narrative of historical development. It has an important role in modern life and should be made physically, intellectually and/or emotively accessible to the general public. 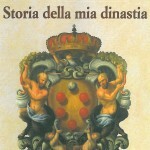 Programs for the protection and conservation of the physical attributes, intangible aspects, contemporary cultural expressions and broad context, should facilitate an understanding and appreciation of the Medici’s Grand Ducal and the Florentine tangible and intangible heritage significance by the host community of native Florentine residents and the visitor, in an equitable and affordable manner. Individual aspects of natural and cultural heritage have differing levels of significance, some with universal values, others of national, regional or local importance. Interpretation programs should present that significance in a relevant and accessible manner to the host community of Native Florentine residents and the visitor, with appropriate, stimulating and contemporary forms of education, media, technology and personal explanation of historical, environmental and cultural information. Interpretation and presentation programs should facilitate and encourage the high level of public awareness and support necessary for the long term survival of the Medici’s Grand Ducal and of the Florentines Community tangible and intangible heritage. Interpretation programs should present the significance of the Medici’s Grand Ducal and of the Florentines Community tangible and intangible heritage, traditions and cultural practices within the past experience and present diversities. The visitor should always be informed of the differing cultural values that may be ascribed to a particular heritage resource. The relationship between Heritage Places and Tourism is dynamic and may involve conflicting values. It should be managed in a sustainable way for present and future generations. Heritage and living cultures have an intrinsic value for all people as an important basis for cultural diversity and social development. The long term protection and conservation the Medici’s Grand Ducal and the Florentines Community tangible and intangible heritage, heritage places, collections, their physical and ecological integrity and their environmental context, should be an essential component of social, economic, political, legislative, cultural and tourism development policies. The interaction between heritage resources or values and tourism is dynamic and ever changing, generating both opportunities and challenges, as well as potential conflicts. developments concerning the Medici’s Grand Ducal and the Florentines Community tangible and intangible heritage should achieve positive outcomes and minimize adverse impacts on the heritage and lifestyles of the host community, while responding to the needs and aspirations of the visitor. Conservation, interpretation and tourism development programs concerning the Medici’s Grand Ducal and the Florentines Community tangible and intangible heritage, should be based on a comprehensive understanding of the specific, but often complex or conflicting aspects of heritage significance of the City Centre of Florence. Continuing research and consultation are important to furthering the evolving understanding and appreciation of that significance. The retention of the authenticity of heritage places and collections is important. It is an essential element of their cultural significance, as expressed in the physical material, collected memory and intangible traditions that remain from the past. Programs should present and interpret the authenticity of places and cultural experiences to enhance the appreciation and understanding of the Medici’s Grand Ducal and the Florentines Community tangible and intangible heritage. Tourism development and infrastructure projects should take account of the aesthetic, social and cultural dimensions, natural and cultural landscapes, bio-diversity characteristics and the broader visual context of the Medici’s Grand Ducal and the Florentines Community tangible and intangible heritage. Preference should be given to using local materials and take account of local architectural styles or vernacular traditions. Before heritage places inside the City Centre of Florence are promoted or developed for increased tourism, management plans should assess the natural and cultural values of the resource. They should then establish appropriate limits of acceptable change, particularly in relation to the impact of visitor numbers on the physical characteristics, integrity, ecology and biodiversity of the City Centre of Florence, local access and transportation systems and the social, economic and cultural well being of the host community of the Native Florentine residents If the likely level of change, or if the present level of tourist pressure are unacceptable, the development proposal, or the existent tourist admitting programs, should be modified. There should be on-going programs of evaluation to assess the progressive impacts of tourism activities and development on the City Centre of Florence or on the community of native Florentine residents . Conservation and Tourism Planning for the City Centre of Florence should ensure that the Visitor Experience will be worthwhile, satisfying and enjoyable. Conservation and tourism programs concerning the City Centre of Florence should present high quality information to optimize the visitor’s understanding of the significant heritage characteristics of the City and of the need for its protection, enabling the visitor to enjoy the place in an appropriate manner. Visitors should be able to experience the Medici’s Grand Ducal and the Florentine Community tangible and intangible heritage at their own pace, if they so choose. Specific circulation routes may be necessary to minimize impacts on the integrity and physical fabric of the City Centre of Florence, its natural and cultural characteristics. Respect for the sanctity of spiritual places inside the City Centre of Florence, practices and traditions is an important consideration for site managers, visitors, policy makers, planners and tourism operators. Visitors should be encouraged to behave as welcomed guests, respecting the values and lifestyles of the host community of Native Florentine residents , rejecting possible theft or illicit trade in cultural property and conducting themselves in a responsible manner which would generate a renewed welcome, should they return. Planning for tourism activities, inside the City Centre of Florence, specifically hospitality and food and beverage activities, should provide appropriate facilities for the comfort, safety and well-being of the visitor, that enhance the enjoyment of the visit but do not adversely impact on the significant features or ecological characteristics. Local and national authorities should make the most possible efforts to always maintain the legality and the safety inside the City Centre of Florence. Host communities of the Native Florentine residents and the Grand Ducal House of the Medici of Tuscany, should be involved in planning for conservation and tourism. The rights and interests at regional and local levels of the host community of the Native Florentine residents , of the Grand Ducal House of the Medici of Tuscany, of property owners and relevant historic residents peoples who may exercise traditional rights or responsibilities over their own land and its significant sites, should be respected. They should be involved in establishing goals, strategies, policies and protocols for the identification, conservation, management, presentation and interpretation of their heritage resources, cultural practices and contemporary cultural expressions, in the tourism context. While the heritage of any specific place or region may have a universal dimension, the needs and wishes of the Medici’s Grand Ducal House, of the Community of Native Florentine residents, of some other Florentine communities or of some individual person to restrict or manage physical, spiritual or intellectual access to certain cultural practices, knowledge, beliefs, activities, artefacts or sites should be respected. Tourism and conservation activities should benefit the host community of the Native Florentine residents and the Grand Ducal House of Medici of Tuscany. Policy makers should promote measures for the equitable distribution of the benefits of tourism in the City Centre of Florence to be shared across near countries or regions, improving the levels of socio-economic development and contributing where necessary to poverty alleviation. 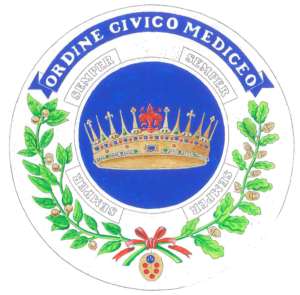 Conservation management and tourism activities should provide equitable economic, social and cultural benefits, at all levels, to the men and women of the host community of Native Florentine residents and to the Dynastic Institution of the Grand Ducal House of Medici named “ Medici Civic Order”, through education, training and the creation of full-time employment opportunities or of artisan activities. allotted to the protection, conservation and presentation of both them, including their natural and cultural contexts. Where possible, visitors should be advised of this revenue allocation. Tourism programs should encourage the training and employment of guides and site interpreters from the host community of Native Florentine residents to enhance the skills of this community in the presentation and interpretation of their cultural values. Heritage interpretation and education programs among the people of the host community of the Native Florentine residents should encourage the involvement of local site interpreters. The programs should promote a knowledge and respect for their heritage, encouraging the Native Florentine residents to take a direct interest in its care and conservation. Conservation management and tourism programs to the City Centre of Florence should include education and training opportunities for policy makers, planners, researchers, designers, architects, interpreters, conservators and tourism operators. Participants should be encouraged to understand and help resolve the at times conflicting issues, opportunities and problems encountered by their colleagues. Tourism promotion programs should create realistic expectations and responsibly inform potential visitors of the specific tangible and intangible heritage of all the above mentioned characteristics contained of the City Centre of Florence, thereby encouraging them to behave appropriately. Places and collections of tangible and intangible heritage significance within the City Centre of Florence should be promoted and managed in ways which protect their authenticity and enhance the visitor experience by minimizing fluctuations in arrivals and avoiding excessive numbers of visitors at any one time. Tourism promotion programs to the City Centre of Florence should provide a wider distribution of benefits and relieve the touristic pressures on more popular places by encouraging visitors to experience the wider cultural and natural heritage characteristics of the locality or of the Florentine region. The promotion, distribution and sale of local crafts and other local products, especially the historical and the craftsman activities, should be strictly protected by the local and the national legislation and they should provide a reasonable social and economic return to the host community of Native Florentine residents , while ensuring that their cultural integrity is not degraded. While there is a significant material component to the Spirit of Place, one that is inherent in the physical remains of monuments, historic places and cultural landscapes, another, equally powerful component must be considered – the human transaction that goes to the very heart of finding, understanding, appreciating, enjoying and ultimately sustaining that Spirit of Place.